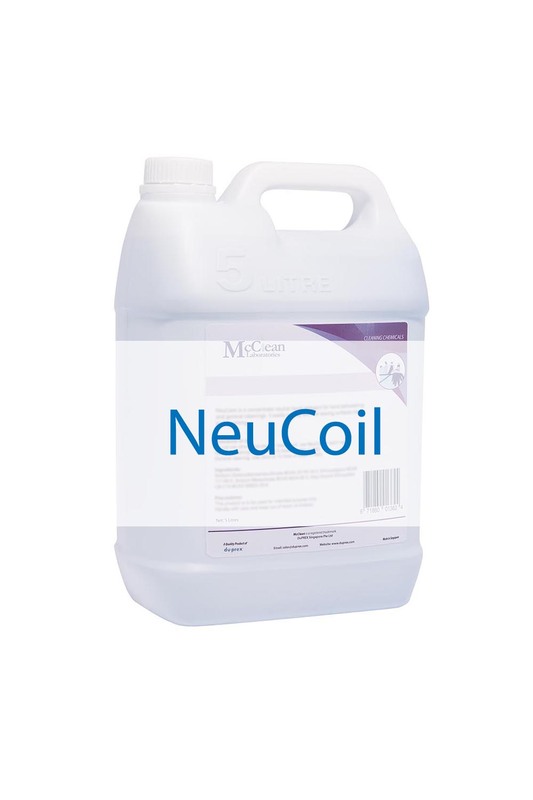 NeuCoil is a heavy duty alkaline cleaner. 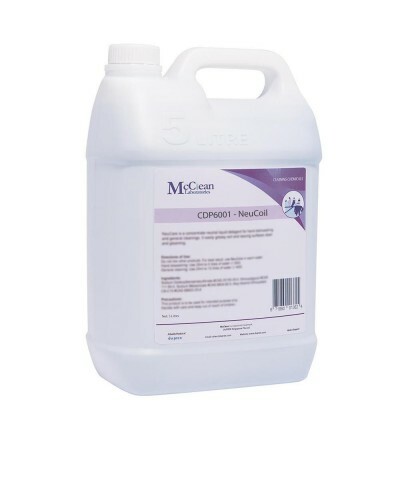 Effective in removing slime, grime, algae and scale deposits. Concentrated, economical and water soluble, mix easily. Self-foaming that purges the dirt out of the coil. 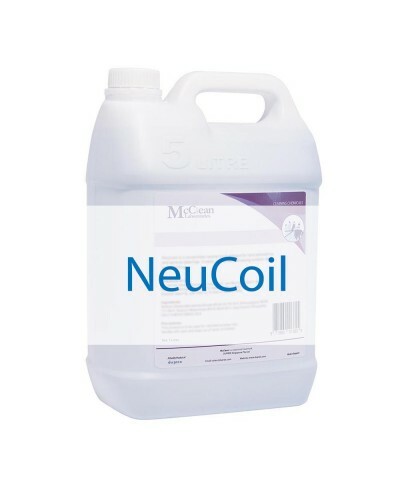 Coil-Clean is used diluted 1:4 to 10 parts of water (depending on condition of soil). Spray on solution. 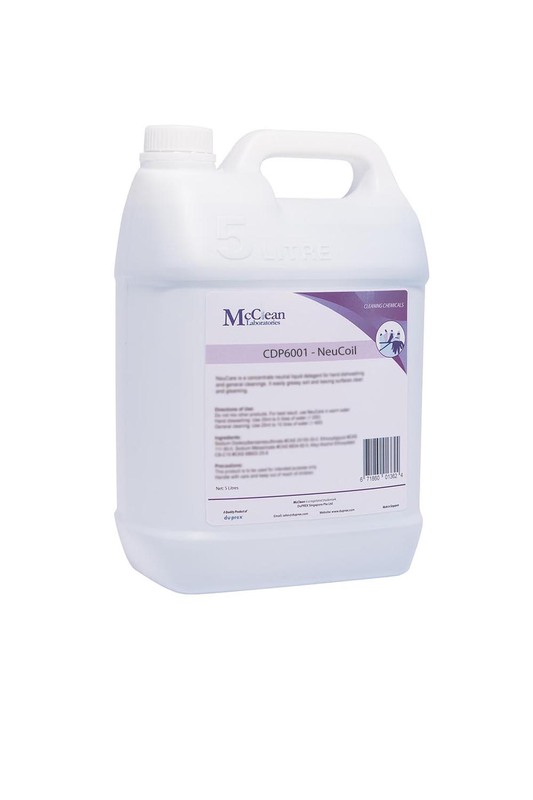 Leave solution for 5 to 10 minutes to allow foam to penetrate. Then rinse thoroughly with clean water. Dilute 1 part to 20 parts of water (depending on condition of soil). Soak parts to clean for 5 to 10 minutes. Then rinse thoroughly with clean water. Copyright 2019 Duprex Singapore Pte Ltd. class="single single-product postid-532 woocommerce woocommerce-page x-integrity x-integrity-light x-navbar-static-active x-full-width-layout-active x-full-width-active x-post-meta-disabled x-v4_3_4 x-child-theme-active cornerstone-v1_1_3"